Oh dear. 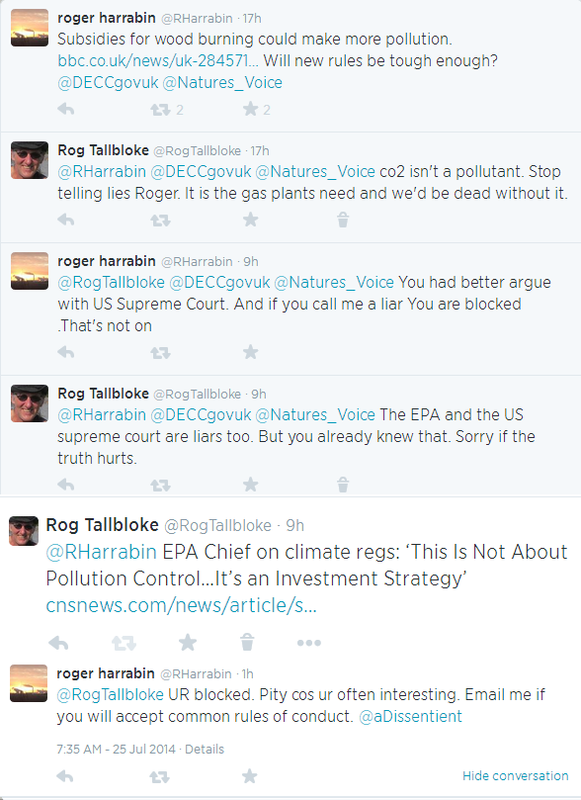 Roger Harrabin, the well known BBC climate mouthpiece, has been unable to take a home truth on the chin. I got into a short twitter row about the EPA’s ‘pollution’ controls with him and the outcome is below the break. Oh well, Roger Harrabin’s loss more than mine then. I did consider emailing him to say I could have said “stop spreading lies” rather than “stop telling lies”. But since the avatar he uses is telling another lie, and he isn’t going to change it anytime soon, I’ll spare myself his annoying drivel and propaganda and get on with science instead. Judging by the number of hits the talkshop gets from BBC I.P. addresses he won’t miss out on what we have to say anyway. The EPA has to learn that you can’t save the planet by destroying the rule of law,” Levin said. “It also must understand that some of our most precious resources are the principles of limited government and official accountability enumerated in the Constitution. If we don’t protect those, saving the snail darter or the spotted owl won’t mean a thing. What’s the original bbc link? Roger is more of a sensationalist journalist than a science journalist, facts are irrelevant unless they support one of his headlines. How dare you try to detrimentally affect his consultancy income! Perhaps he’d reinstate you if you call him a Spouter of Terminological Inexactitudes. Please identify the Roger of which you write!! Thank you for this article. SCOTUS regularly screws up but not so much as everyone else. The only government the US has left! I try to create humorous headlines more often than sensationalist ones. Will, if any clarification is needed the journalist Roger Harrabin is the sensationalist and the blogger Roger Tallbloke is the sensation as devotee’s to this blog will attest. Hopefully that puts me in line for a pint o’ Magic at some stage! Lord B: Which pub shall we meet at? Nice. Brittany for us in a fortnight. Tallbloke- you must know by know that Roger Harrabin is uniquely qualified* to make reasoned judgements about Climate Science. *Harrabin was born and raised in Coventry, England where his father Hubert ran a building firm with his wife Sylvia and brother Harry. He attended Stivichall Primary School and King Henry VIII School. He then studied English at St Catharine’s College, Cambridge, where he was president of the Junior Common Room. He started a college newspaper. He began his career on the Coventry Evening Telegraph, where he gained a reputation for bringing fresh topics to the news agenda. He developed a specialism reporting on the city’s ethnic minority population, who were previously largely ignored in the media. He won a prize in the British Press Awards in 1980 for a series of features tracing the roots of Coventry Asians back to Pakistan and India. Harrabin has form for being a bit economical with the truth. As well as his role in 28gate, he has repeatedly falsely claimed that nobody replied to his 2010 call for UK academic sceptics. Paul, I was one of those academic sceptics who made contact with Horrorbin. He is a out and out liar. I don’t read anything this stenographer writes unless I absolutely have to. He is a A1 churnalist…just like Roger Black was before he went off to siphon more taxpayer funds. I feel it is a waste talking to these blagarts but I go along with Gail Combs efforts that it is worth the effort for the undecided. 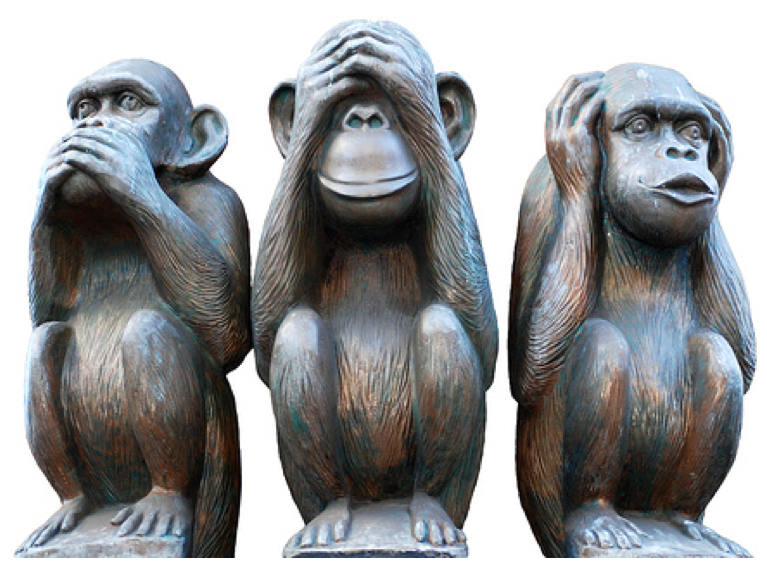 The overt censorship of dissenting views is something to behold. If only they were a suicide cult we’d be fine except they are a suicide cult commanding us to take the cyanide capsule first! Yes, well. Remember that his employer the BBC, peace be upon them, was even criticised by The Guardian for not being competent enough to find enough women experts to interview. No wonder they can’t find climate sceptics when they’ve made it perfectly clear they have no intention of trying to do so. As i read it, Mr Harrabin is saying,”i dont want to play any more because you will not agree with me, and, you are exposing my, at best, embellishments”. Roger, i have to say this, Please dont argue with the children.